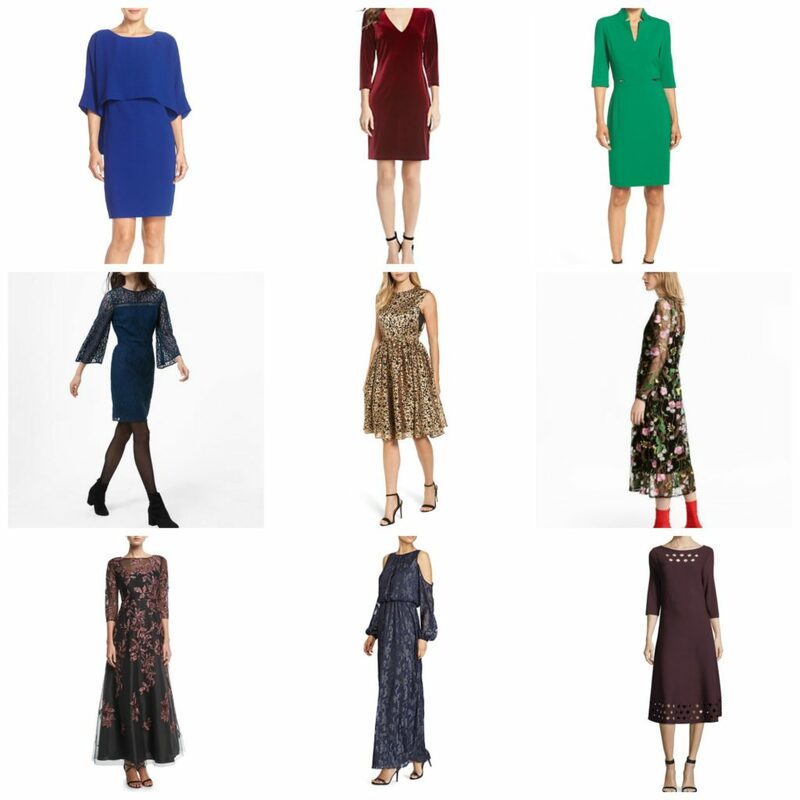 One of my most popular posts every year is my list of the best holiday dresses for women over 40. This year I’m drooling over all the pretty choices … bell sleeves, jewel tones, animal print, polka dots, lace, and oh so much velvet! First of all, I always want to make it clear that I truly believe women over 40 can wear whatever they please. But I do know that quite of few of us would like to cover at least a few body parts at this point in our lives. And we want to look vital, fresh, trendy AND classy. And most of my readers don’t have time to scroll through endless strapless minidresses for eighteen year olds on the way to find something they love for themselves. I scanned through many websites for the choices that I think will look stunning on all my midlife babes and I tried to keep different body shapes in mind. I also picked dresses from $30-$500 so every budget can find the perfect match. Here’s this year’s list. Let us know which one is your favorite! Every year my husband’s company has a big fancy party and I’ve been thinking about what to wear. I’m pretty sure I’m going with something velvet this year! I also will have many casual holiday events and I’ll be showing some ideas to what to wear to those as well! Also, coming soon … Cyber Week and Black Friday steals and deals! Stayed tuned! And if there’s any holiday content you’d especially like to see on the blog, now is the time to let me know. Just leave a comment or email me at fashionshouldBfun@gmail.com! I love to get feedback and ideas from my fabulous readers! Such a lovely post! Beautiful dresses! Thanks, Ann! Gorgeous and classy was my goal! Yay! It’s so hard to find good dresses that aren’t too revealing, but still fashionable. You really found some great ones! A lot say that life starts at 40, I agree, it is a great age to be more keen on fashion. I love bell sleeves, so classy. It’s a great time in life to focus on yourself, I think! Yes, I love the bell sleeves too! Great list! I bought the Ann Taylor black/floral midi.. I love the Anthropologie pleated midi but I don’t have anywhere to wear it! The Ann Taylor is one of my favs! I know I wish I had like 10 fancy parties to go to! I’m glad I have at least one!! Thanks for coming to the Top of the World Style linkup party. The green sheath and the red plaid fit-and-flare dress are my favorites. Great picks. You would look great in both, Nicole! Lovely collection!!! Specially that red velvet dress is awesome. I guess it would be perfect for me. Thanks for sharing such wonderful dresses.